We all need a pair of trousers. 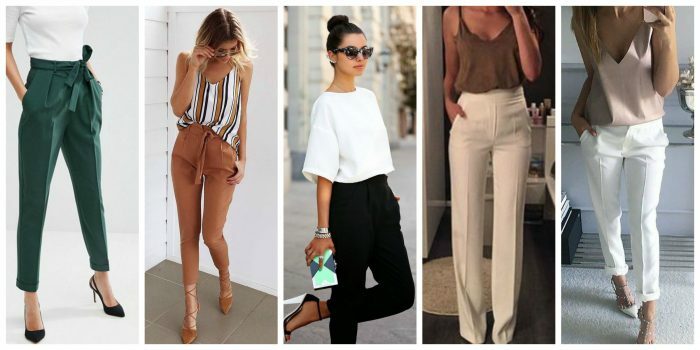 Pants are essential for Summer office hours. Sure, most of the ladies find these bottoms to be plain and boring, but not for us. Thanks to modern dress code rules, we can actually try on bright pants in funky prints and styles. 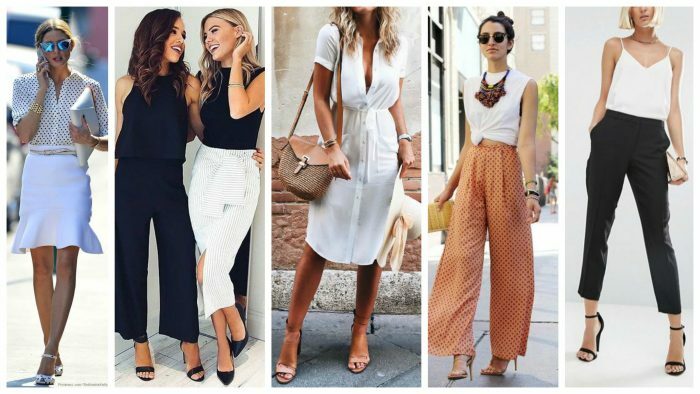 Yep, you can try on culottes, stretchy pants, cigarette silhouettes, as well the ones with a bit loose-fit shape. These bottoms can be updated with a plain white or black shirt, simple shoes or sandals and a stylish handbag. I recommend to try on a high-waisted pair of pants which are not too tight nor relaxed. 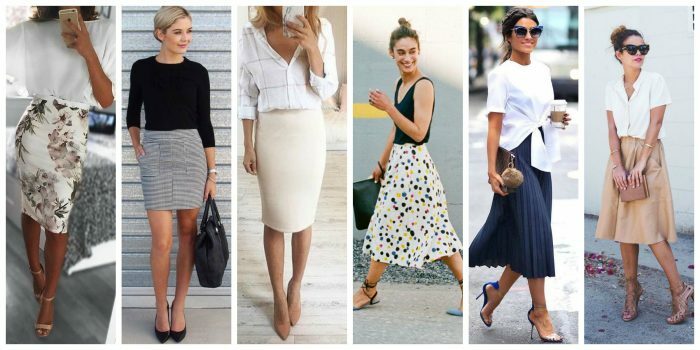 Speaking of skirts, they are Summer essentials for weekends and working hours. Sure, you better go for the ones that end around the knees or a few inches above. Of course, you can wear pencil skirts, but Summertime is for a bit casual look, that’s why go for pleated, flirty floral or midi version in classic print or color. They gonna look terrific with simple tops, silken blouses, and bodysuits. 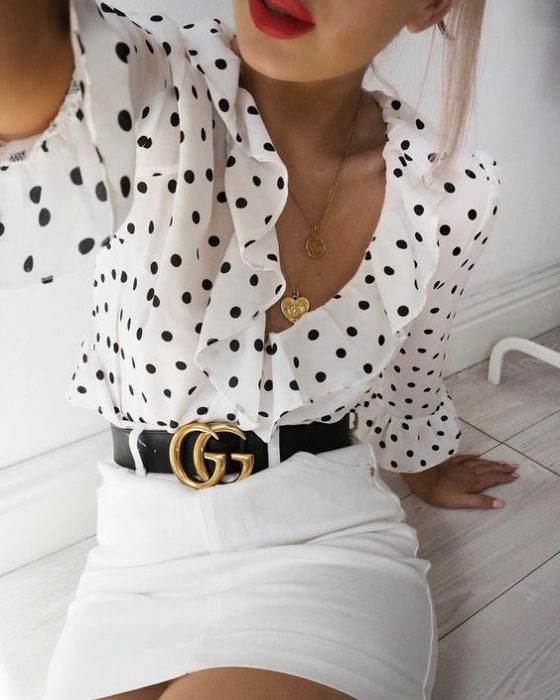 If you want to try on a flirty skirt design, then you better keep the neutral color, but classically shaped skirts can be printed in bright colors. The last, but not least is the dress. 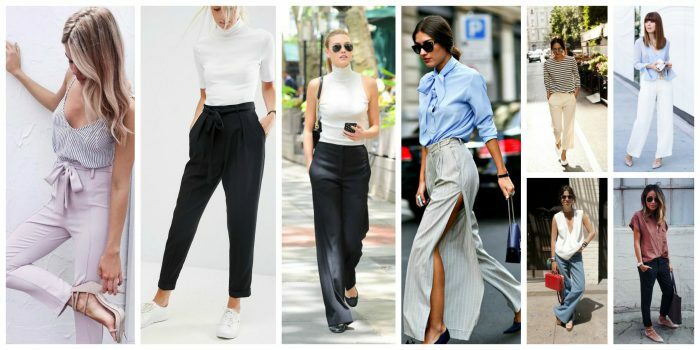 This is the easiest office clothing staple you can wear to work. It can be complemented with classic shoes, bag, and some jewelry, like a bracelet or a necklace. You are free to try on pencil cut dress in a bright color or print, but I recommend to make things look cool by trying on a tea-length frock or fit-and-flare design. If the dress code in your company is more casual, then you are free to go for shirt-dress or a fitted style. 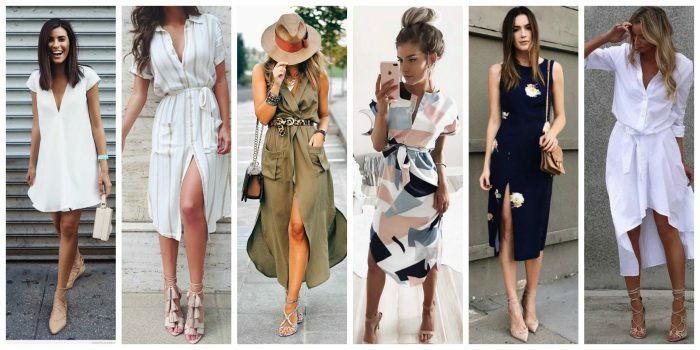 No matter how casual is your company’s dress code, you better avoid spaghetti strap dresses and short hemline designs.